Offering a free wellness and fitness area, La Cour Des Augustins Boutique Gallery Design Hotel is located in Geneva, 200 metres from the Place des Augustins Tram Stop and a 5-minute drive from the city centre. 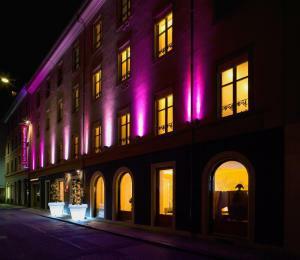 The stylish and spacious rooms and suites are situated in 2 connected historic buildings and offer free wireless and ADSL internet access, an LCD TV and Pay TV. All suites in La Cour Des Augustins Boutique Gallery Design Hotel boast a fully equipped kitchen, but you can also order ready-cooked meals via room service. The Cornavin Train Station is 1.8 km away and the United Nations are 3.2 km away.